Xiaomi has released the Xiaomi Redmi Note 5 Pro in India with MIUI 9.2 pre-installed which is based on Android 7.1 Nougat OS. Even if the smartphone comes with lots of new amazing features, the absence of the latest Android 8.0 Oreo is still bugging some users. Towards that end, Xiaomi seems to be working to fix it soon as a Xiaomi Redmi Note 5 Pro has been spotted at #MWC2018 running MIUI based on Android 8.1 Oreo update. Spotted on a test footage, as reported by GizChina.it at #MWC2018 the smartphone appeared to be running the Android 8.1 Oreo OS. According to this report, Xiaomi could release a new update for the Redmi Note 5 Pro and the international variant of the Redmi Note 5 Pro may be launched with Android 8.1 Oreo update. According to a recent leak, the Xiaomi Redmi Note 5 Pro will be getting the Android 8.1 Oreo update with Project Treble support. 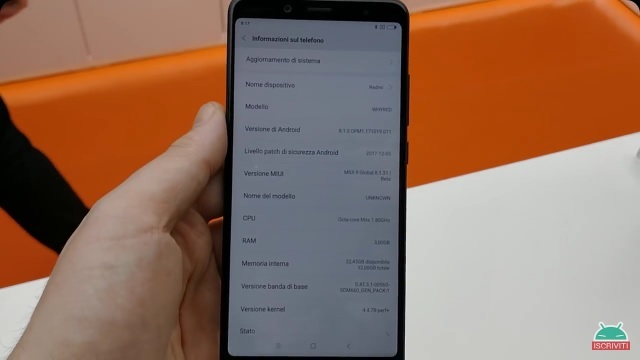 But if the device in the video was just updated to the Android 8.1 Oreo update then Xiaomi might bypass the Treble support because if you are updating the smartphone from a previous version then the Treble compatibility is not a requirement. This is just a possibility, but it’s also possible that Xiaomi may have undertaken measures to keep the device compatible with Treble requirements. Since Xiaomi hasn’t released any notification about the release of the international version of the Xiaomi Redmi Note 5 Pro but it will happen soon (maybe at #MWC2018.) The Xiaomi Redmi Note 4 has been launch in India and after that, it was launched in China as Redmi Note 4X. Since the smartphone is present at MWC 2018, it is a sign that the smartphone will get released as an international variant and it will get released with the latest Android 8.1 Oreos OS with MIUI layered on top. We should know more in the coming days about this.